Hello fellow Cricuteers and LoveBugs!! LoveBug Monday for me too!! so if you are here to check out my project for LoveBug Creations, You are in the right place too! I have combined them both into one fabulous project!! Fantabulous Cricut Challenge Blog invites you to create a project with your Cricut using Fall Colors. I finally finished the travel coffee mug I started earlier this month during Vinyl University. 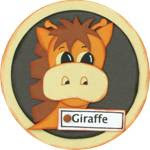 Teaching is a Hoot was created with the CM traveler Cart and the Owl image came from Hoot N Holler. And of course my fabulous Rumple Ribbon in Harvest Moon is from LoveBug Creations. You could win an amazing prize from Angela Holt Designs!! Wohoo!! Hello my crafty friends!! So sorry for the delay!! I had a yucky virus on my pc and well I am finally back in business but now out of town! LOL! So I bring you the Winner!! On Friday instead of Wednesday! Here's what she had to say about the hop, "Super cute cards. Love all the colors you chose. They go wonderful together." Lynnie Congrats!! Send me an email please so I can get your contact info over to LoveBug Creations!! You win a gift certificate to shop their fabulous goodies!! And now I bring some new NEWS!! 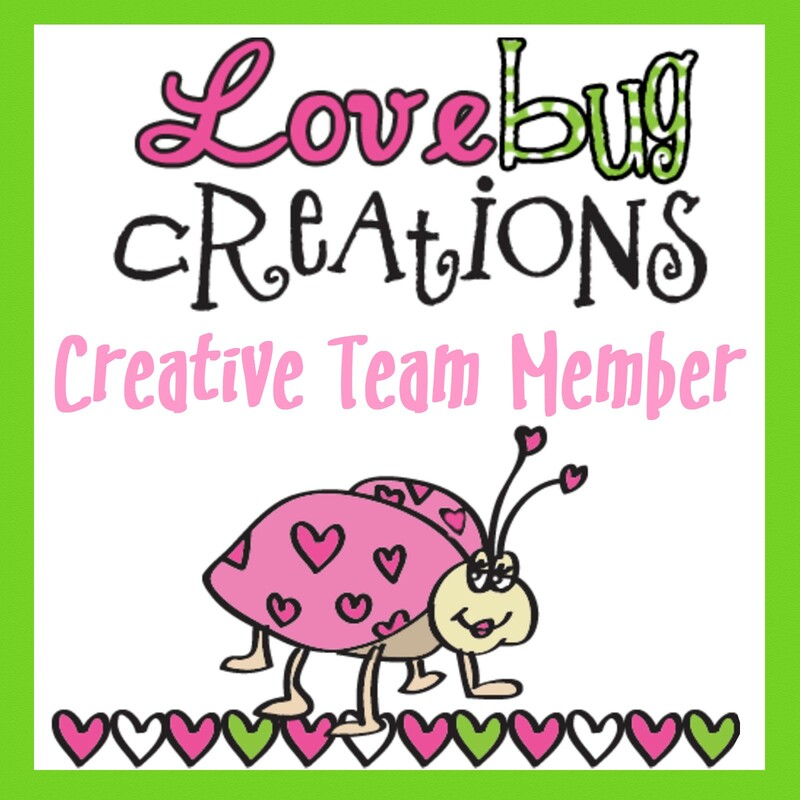 LoveBug Creations has a FB group where you can show your crafty projects using those fabulous LoveBug Creations Products called The Lovebug Lounge! Be sure to head over there to read about the challenge and to enter your project featuring fun LBC products!! So head on over to The Lovebug Lounge and play along!! Wishing you a craftastic day! Scrappy hugs! from various videos that have already been uploaded by someone on You Tube. This is a great way to see some new ideas, become inspired and learn some different techniques. Since the lovely Angela Holt is my sponsor this month I thought it only fitting for me to show her very beautiful Ombre flowers. Just a few more days left to enter the Challenge this month!! It's Mama Mesh Mondays!! That means a new project from me!! A few weeks ago we celebrated the birthday of another CT member, Katie!! I was just introduced on the team and hadn't quite got my act together so here I am now to honor Katie today! Better late than never- right? Happy Belated Birthday Katie!! This Mama's Mesh is so awesome to add on projects! It really adds such a cool texture. For Katie's card I used Crazy Coral. It really looks kind of Mauve to me. Don't forget to enter this month's Farmtastic Challenge!! The United Nations' (UN) International Day of Peace is celebrated on September 21 each year to recognize the efforts of those who have worked hard to end conflict and promote peace. The International Day of Peace is also a day of ceasefire – personal or political. Let me start by personally saying that today is more a day of reflection for me. I believe we need more peace and love throughout our own great planet. I believe we all need to learn how to get along and to love our neighbors regardless of our race, religions, or our sexuality. We are all God's children, all human and in a way all brothers and sisters. I am not a fan of war but I do support our troops and am very thankful for the many men and women who give their time, families, and sometimes their lives for our great country! So I bring you this blog hop as a day to reflect on what your own personal definition of Peace is in your life. 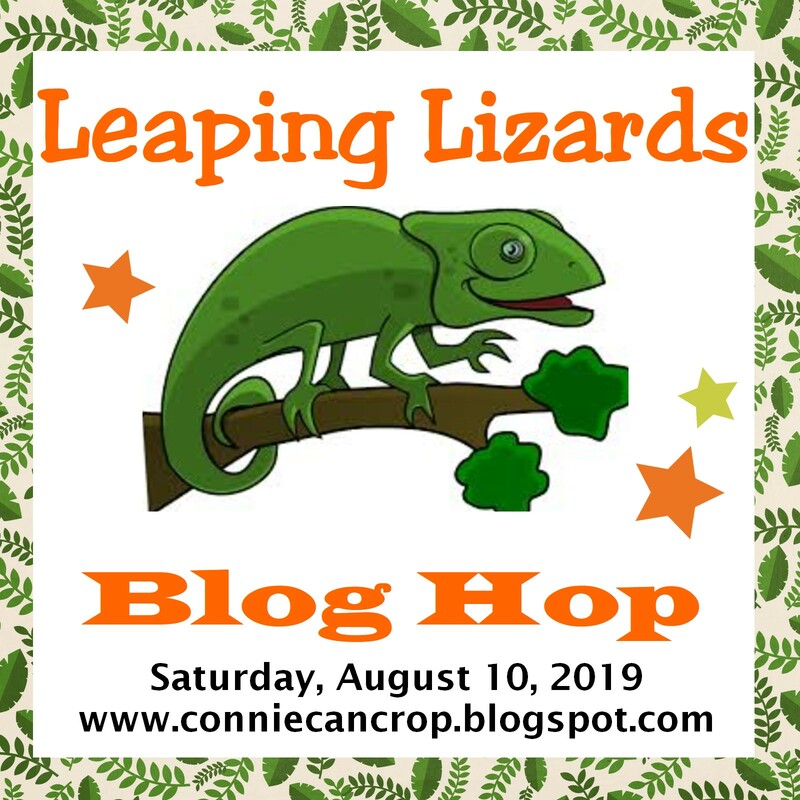 This is a one day blog hop and we appreciate your leaving a comment to encourage all of my fabulous crafty friends to continue sharing their ideas and creations. You will have until 9:00 pm Sunday to finish the hop and leave your comments. Winner will be announced on Wednesday Winners at Connie Can Crop. I decided after thinking long and hard that I wanted to create some cards. So I looked online for some digital images and the perfect quotes to go along with them. I hope they inspire you and help you to reflect on the theme of peace and love. Up next is my very talented friend Lori! Thanks so much for joining us today!! I realize it's not my normal posting day over at LoveBug Creations but today is a very special occasion!! We are celebrating fellow LoveBug CT Member Zeni's Birthday!! 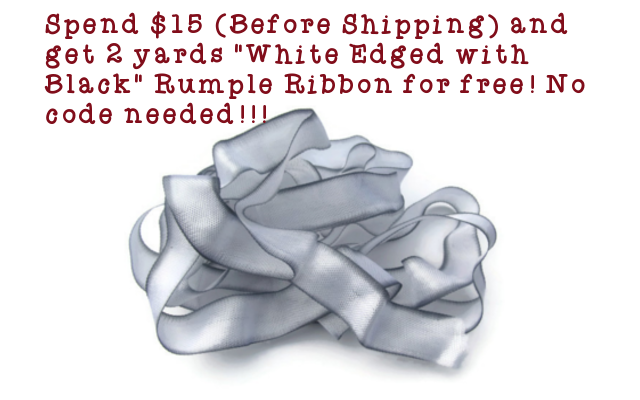 Yummy Rumple Ribbon in Simply White. I didn't want to tie a bow because I felt it took away from the big flower so instead I added a few knots. I think they added the perfect touch. What do you think? Cricut Crawl Blog Candy and the All About Babies Blog Candy!! "Very cute! I love that vinyl it looks shimmery! Very pretty! Thanks for sharing and the chance to win blog candy!!" My favorite summertime activity is having my married girls home for visits." Congrats to both ladies!! I am so glad to see so many new faces hopping along with us!! Ladies please email with your info and address asap. You have one week to contact me and claim your goodies!! So hurry!! So happy you won! And thank you so much to everyone for being so awesome and supporting me and my blog!! Come back on Saturday for International Day of Peace Blog Hop!! 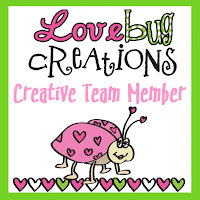 LoveBug Creations is my fab sponsor!! This month's challenge is ...Old Mac Donald. And our Sponsor is the lovely Miss Angela Holt Designs!! Mama Mesh Monday for me too!! Fantabulous Cricut Challenge Blog invites you to create a project with your Cricut using a letter or a number. A spooky (not really) card featuring Mama Mesh and the Cricut Cart CM Traveler. I also used the Mar-Kits Pens from Cri-Kits (mini sharpies and holder) with my Cricut to outline the title word before I cut it out. This technique helps the word stand out, sort of like inking it without the mess. 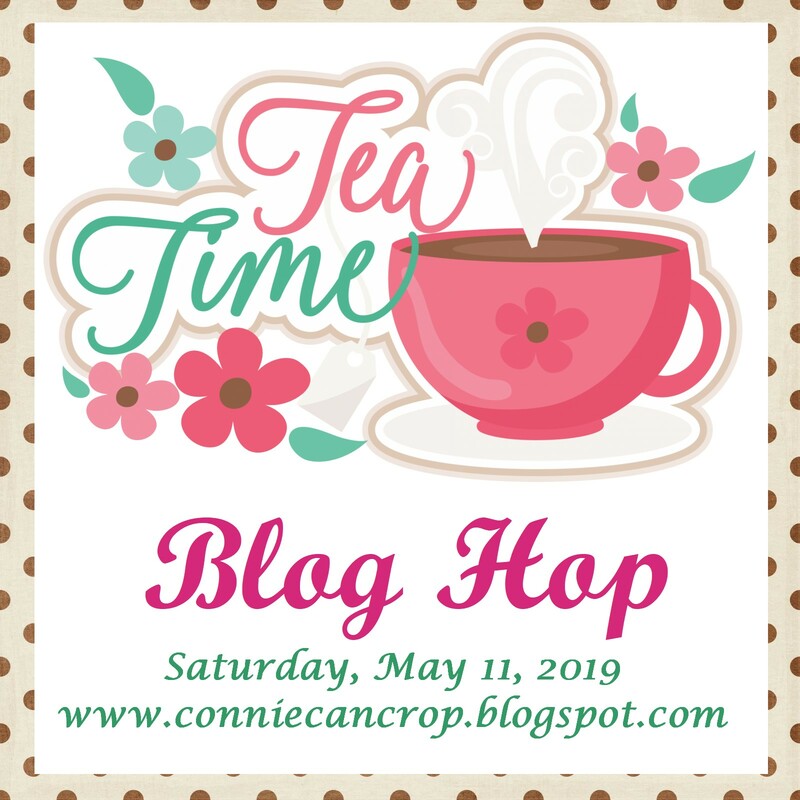 Welcome to the “All About Babies” Blog Hop! So glad you can join us! If you are coming from SANDY, then you are in the right spot. If you just happened to stumble upon my site or your reading this via e-mail, please start at MIRANDA'S BLOG so you don’t miss anyone’s amazing projects! We will be showcasing anything BABY projects! 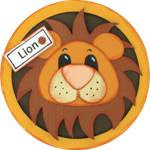 In addition to seeing some awesome projects, there is some blog candy available too! Miranda will be giving away a Michael's or Joann's gift card. Winner's choice! To be eligible to win the blog candy, you must leave a comment on each stop in the hop telling us what is your favorite summer time activity! Be sure to leave a comment on each stop because the winner can be chosen from any of the participants blogs! For my project today, I saw this SVG file from Designs on Cloud Nine and I knew I had to make it! So I hope it makes you smile as it did me!! Somebody's little baby boy is going to be precious on this one page layout. I have blog candy!! Just be sure to become a follower and leave a comment below! You could win 2 yards each of Baby Blue and Baby Pink Ribbon like used in my layout above!! Your next stop is SHELLEY!!!! Thank you so much for checking out my project. It means the world to me and I hope you truly enjoyed it. May it inspire you to create something wonderful! It's Thursday and I haven't done a throwback in quite a while! why not throwback my very first vinyl project. on my wall for almost 9 years!! Wow!! And I still love it! This was cut out in Brown vinyl using Lyrical Letters. There is still time to enter the Fantabulous Vinyl Challenge. Head on over to the blog and get your vinyl entry in today! You could win a Cricut Expression!! Woohoo! And if you missed it, check out my video on You Tube Tuesday. It's all about layering Vinyl Die cuts!! learning all about Vinyl at our Vinyl University!! Today I want to share with you what I did to a my school notebooks and binders. My Chemistry Professor was especially impressed...LOL! Vinyl can be used on so many materials! So what are you waiting for? Get out there and give it a try! Since we are celebrating all things Vinyl this week at Fantabulous Cricut Challenge Blog with our very own Vinyl University, my video of course is all about vinyl!! Don't forget to head over to FCCB to enter our challenge! 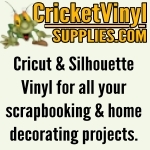 This week we are challenging you to create a project using vinyl you have cut using your Cricut. If we get 100 participants in the challenge our sponsor will give away a cricut machine, including a deep cut blade, Jasmine cartridge and loads of vinyl.... so awesome, tell you friends to join this weeks challenge! Happy Crafting and Scrappy hugs my friends!! 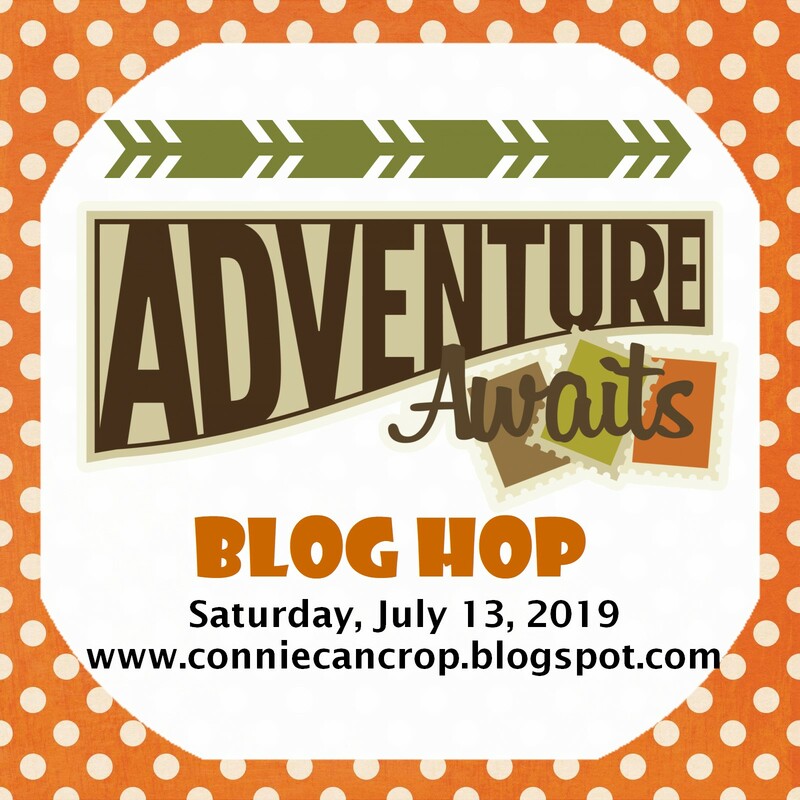 Welcome to Connie Can Crop and the FCCB Vinyl Week Cricut Crawl - Fantabulous Cricut's version of a Blog Hop!! If you are here to check out my project for LoveBug Creations, You are in the right place too! This week we are challenging you to create a project using vinyl you have cut using your Cricut. If you've come from LB you're in the right place! If you've just happened across my blog and would like to see all the fabulous Design Team creations head on over to Fantabulous Cricut Challenge Blog to start at the beginning. NEW Limited Edition "GRUNGE" Rumple Ribbon from LoveBug Creations!! My Vanilla Jar Candle uses Cricut cuts from Doodlecharms and CM Cheerful Seasons. It is a mini Jar candle at only 4 inches tall so my cuts are less than 2" in height. I used 5 different colors of Vinyl and finished this off with some gorgeous ribbon from LoveBug Creations, a silk flower on top and a gold pearl. I am giving away some yummy ribbon to one lucky person!! Wohoo!! 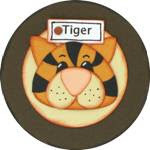 How does 2 yards of Brown, 2 yards of Black and 2 yards of Cream sound? Just be sure to leave me some LOVE below!!! 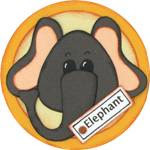 Winner announced NEXT Wednesday for my blog candy. Your next stop is the Fantabulous Amy!! Make sure to visit all the stops along the way and when you get done, make sure you link up your project to FCCB's Fantabulous Cricut Crawl post!! And stop by every day this week for more fun with vinyl!! Something Wicked This Way Comes LBC New Release and Blog Hop!! Prepare to be scared out of your PJ’s and rush to your crafty zones for comfort as you check out the amazing “wicked” projects that the LoveBug Creations CT has designed for the enjoyment of Halloween! If you came from Christine then you are in the right place. If you'd like to start at the wicked beginning please head on over to Lovebug Creations where it all begins. Some of our designers will be showing off some of the NEW Mama's Mesh colors that will be hitting the store soon so keep your eyes peeled for them!!! 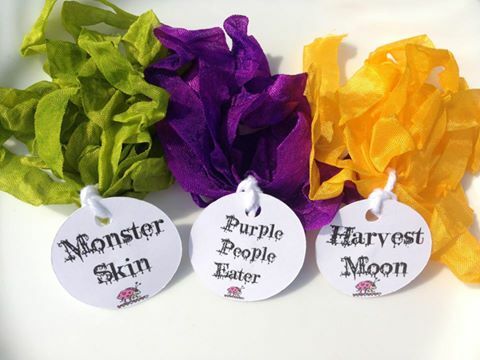 First we have some eye-popping solid Rumple Ribbon in three new yummy colors – Purple People Eater, Harvest Moon, and Monster Skin; these colors also have a Mardi Gras palette too, so grab them quickly before they disappear into the night of fright! 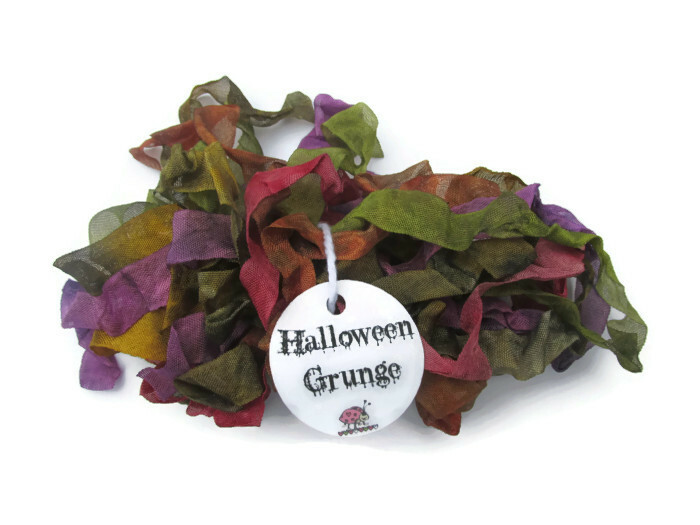 And for the fun of “something wicked” we’re unveiling a limited collection of Rumple Ribbon called “Halloween Grunge”; there are six colors of vintage blends to give your projects the perfect Wicked Factor. Only a select number of these have been created so when they’re gone, they’re gone! All six colors are included in this special collection. 1. 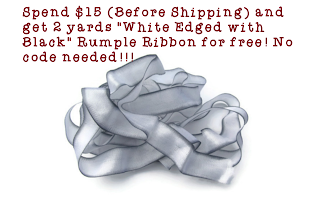 Spend $15 before shipping and you will receive 2 free yards of White edged with Black Rumple Ribbon! 2. 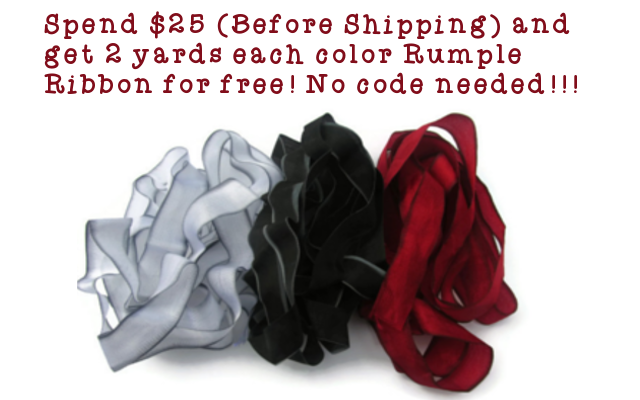 Spend $25 before shipping and you will receive 2 free yards each of White edged with Black Rumple Ribbon, Black Edged with White, and Red Edged With Black Rumple Ribbon!!! 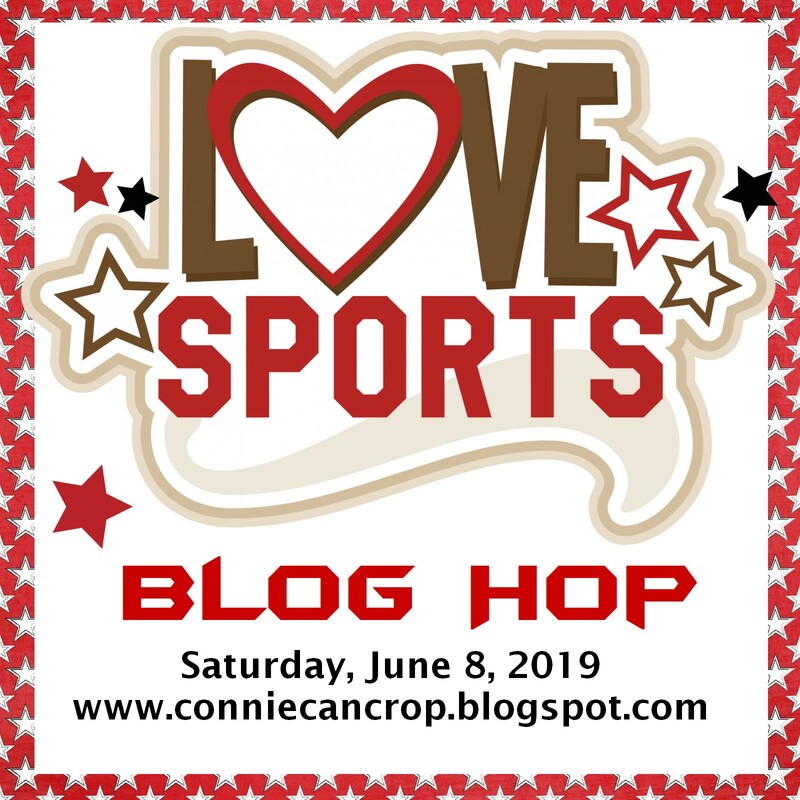 So excited to be in my very first new release and blog hop for LoveBug Creations. So thanks so much for joining us! I love to create just about anything but you'll soon see that scrapbooking is my true passion. So I created for this hop a Halloween Layout of my kids from 2010 using a Storytellersclub Kit, some cardstock, and of course some of my fav NEW LoveBug releases. We all decided to be Pirates this year. So cheesy but fun! Kind of sad for me because this was the last year my oldest trick or treated. In case you hadn't noticed, YES, that is the new Mama Mesh behind my border. Isn't it the coolest? It really gives this that extra touch!! I love Mama Mesh! 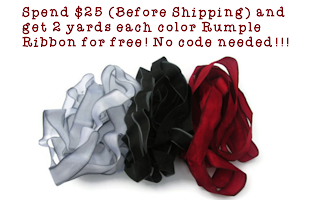 And for added fun you just can't go wrong with the always awesome rumple ribbon! Here, I am using Harvest Moon across the top of the photos. I stamped the ribbon using versa mark black ink and a regular acrylic stamp. It turned out so SPOOKY!! You have to try it! I hope you loved my layout and that it inspired you to create something wicked of your own! I invite you all to please become followers of my blog (in case you are not already) and please join in my monthly challenges. I love making new scrappy friends! Winner will be announced on Tuesday, September 10………happy haunting!! Thank you for joining in the hop and have a wicked weekend.